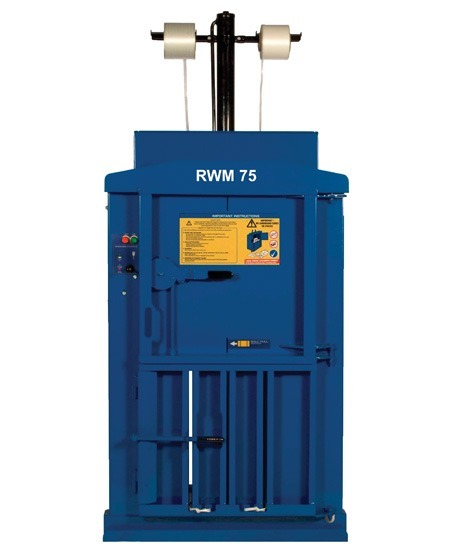 Like the RWM 60 waste baler, the vertical RWM 75 is a compact baling press that enables users to convert their packaging waste into manageable bales. Easy to use, with a large feed aperture, the RWM 75 waste baler is a cost-effective baler that can handle large and small volumes of waste, such as cardboard, paper, plastics, films and other dry recyclables. Users of the RWM 75 baling press include retail outlets, offices, pubs, fast food outlets and garage forecourts. The RWM75 is an incredibly clever compact baler. 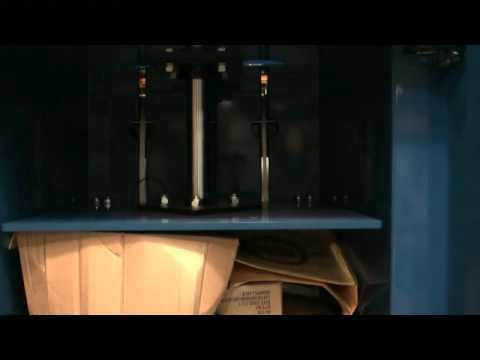 Thanks to a simple chamber insert, for example, this machine can also press tins and steel drums up to 30 litres in size! What’s more, this small but mighty modification will achieve a compaction ratio of 6:1 – a fantastic space and cost-saving feature for firms that want to make big waste worries small. Did you know: the RWM75 comes with a two year parts and labour warranty as standard, a guarantee that is available on all Riverside waste machines upon request.